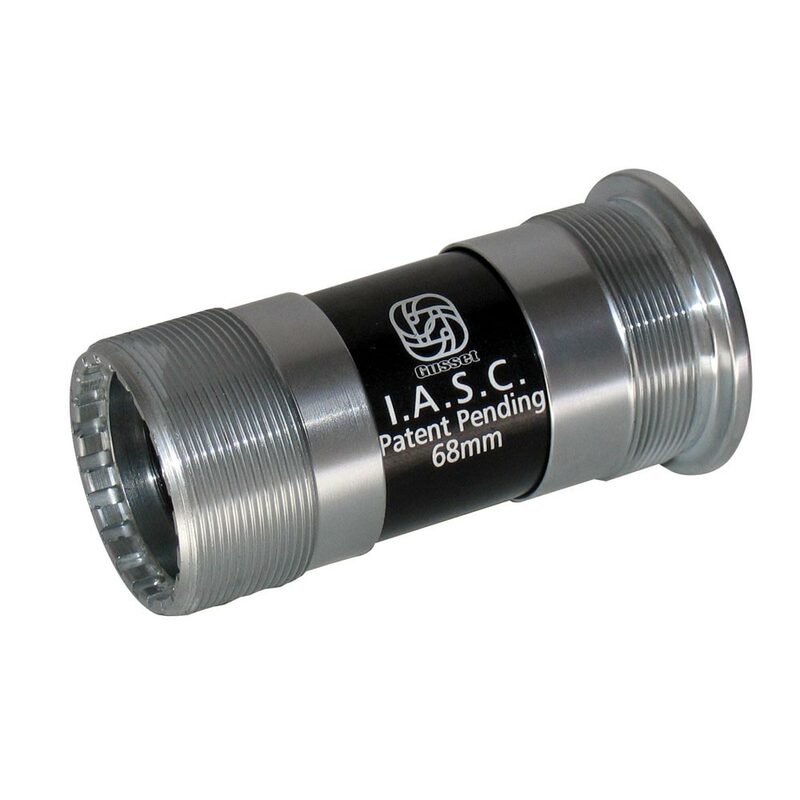 Sealed bearing bottom bracket for 22mm axle. IASC – Internal Assembly Semi Cartridge BB system. Gusset looked at the common premature failure of MTB cartridge bearings on the existing ‘BMX style’ cranks using threaded Euro style Bottom Brackets and decided that the significant contributory factor in cartridge bearing failure was the probability of sideload being inadvertently applied by the installer. Therefore, Gusset decided to design a BB system that would make fitting SIMPLE and remove the ability to apply sideload to bearings. Thus, Gusset developed a ‘semi-cartridge Unit’ system that effectively ‘assembles itself’ inside the frame. The patent pending Gusset I.A.S.C. BB system installs easily with a UN type tool to give optimised bearing adjustment and additionally forms an effective dirt and water internal shield. The IASC system is also fully serviceable and also allows easy replacement of the individual Industrial cartridge bearings as required. Waffen IASC BB system for 22mm axles. (Note: smaller bearings are used compared to Pigmy IASC, and thus bearing durability is reduced). Forged Cr-Mo UN style steel BB cups. 4 replaceable industrial cartridge bearings. IASC System optimised bearing adjustment.